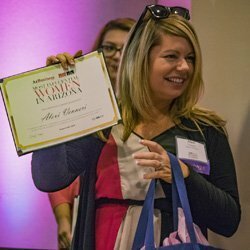 A crowd of nearly 500 packed Desert Botanical Garden Thursday to honor Az Business magazine’s Most Influential Women in Arizona Business for 2016. “All the women we are honoring tonight have procured influence in their respective fields through hard-earned track records of profitability, leadership, and innovation,” said AZ Big Media Publisher Cheryl Green. 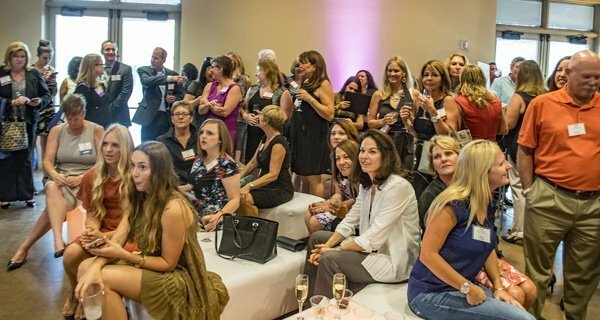 The women were selected from a pool of more than 1,000 candidates by the editorial team at Az Business magazine and a panel of industry experts. They are innovators, trailblazers and leaders of industry. They are Az Business magazine’s Most Influential Women in Arizona Business for 2016, as selected from a pool of more than 1,000 candidates by the editorial team at Az Business magazine and a panel of industry experts. AZ Business does not allow a woman to make the Most Influential Women in Arizona Business list more than once. If you know someone who should be considered for 2017, nominate them at azbigmedia.com. Clare H. Abel, Burch & Cracchiolo, P.A. Roxann Gallagher, Sacks Tierney P.A. Jalina Kerr, Charles Schwab & Co.
Venneri previously worked for the Seattle Mariners and multiple technology companies before starting her award-winning social media and digital engagement company that now employs 170 with most based in Scottsdale. Advice: “If you see an opportunity – take it. I started Digital Air Strike during a recession in 2010 because that’s when I saw an opportunity to help businesses find innovative and low-cost ways to reach consumers through social media”.